The next day at work, Elissa dodged Keon like the plague. He didn’t particularly seek her out, but she just wanted to make sure things didn’t get awkward between them. They’ve never done anything but innocent flirting, and Elissa couldn’t tell if he liked her or not. So, to be on the safe side, she dodged him. Elissa begin to really put her all into her work, trying to crank out an unlimited supply of masterpieces. However, she had been feeling quite ill, so her masterpiece creations were scarce at best. After eliminating possible causes of sudden sickness like chicken pocks and measles, she concluded that she was indeed…pregnant. How was she going to tell Darrius? Even though they’ve talked nearly every day now, she wasn’t sure how he would take to having a kid. Heck, she hadn’t even taken to the idea yet and she was well on her way to her second trimester. She decided to tell him the next day after work. Elissa was in a really good mood having received another promotion. She was over the moon excited because now she was able to hire an agent and get her name out there in the painting world. 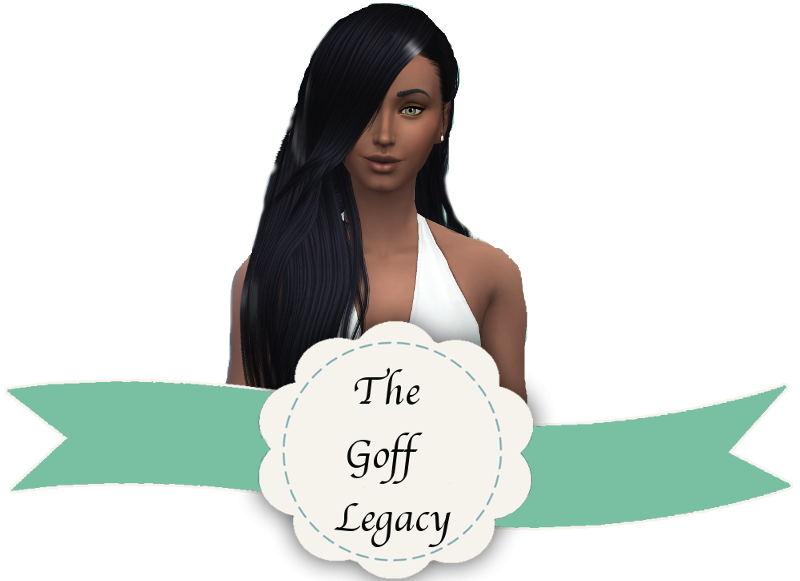 She still had the small feat of telling Darrius she was pregnant and the way she was feeling right now, she couldn’t care less if he wanted nothing to do with her and the baby. Surprisingly, his reaction was the opposite. Elissa nodded her head and watched as Darrius seemed to let the news sink in. “What do you mean?” Darius asked. “Well, I work and some days I come home so tense and tired I don’t have time to do anything else. I guess I’ll just have to work fewer hours. It’ll be awhile until I see my next promotion, but you have to do what you have to do.” Elissa shrugged. “Yeah,” Darrius nodded. “Why wouldn’t I? You’re carrying my child.” He smiled and placed his hand over Elissa’s belly. 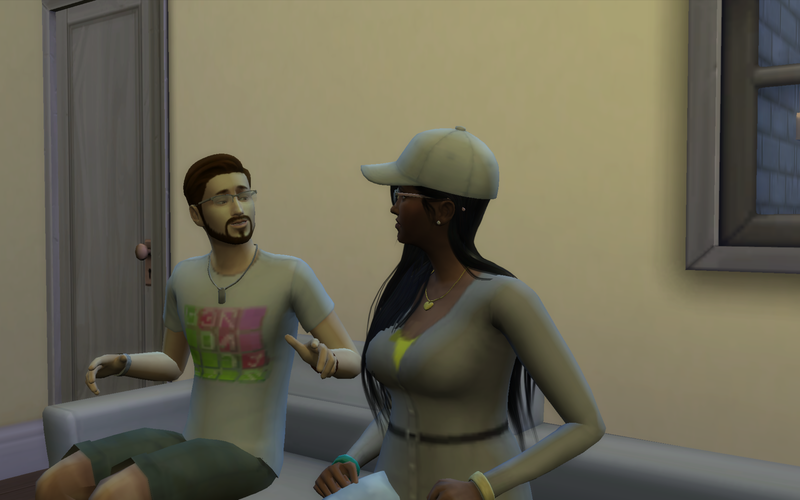 Elissa seemed to think about the idea of Darrius moving in. 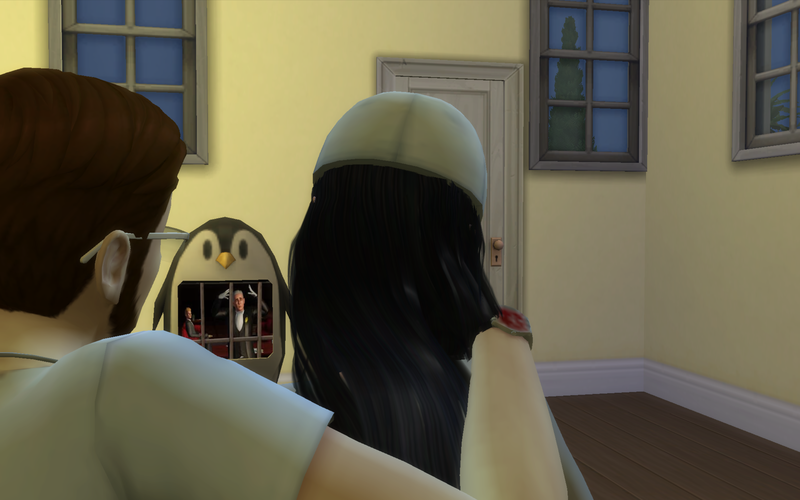 She wasn’t completely sold on the idea, but she liked that he would be there to help her out with the baby. 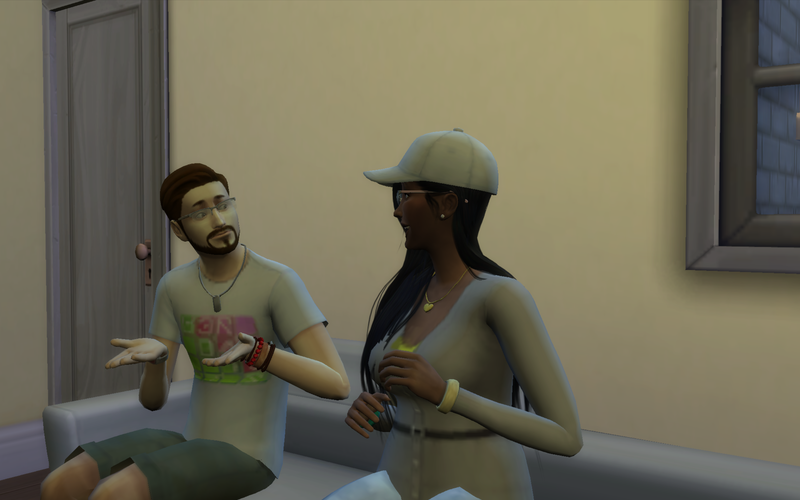 After a long and careful thought she found herself agreeing to Darrius moving in. After hours and hours of packing and unpacking, Elissa and Darrius finally had Darrius’ toothbrush settled in. 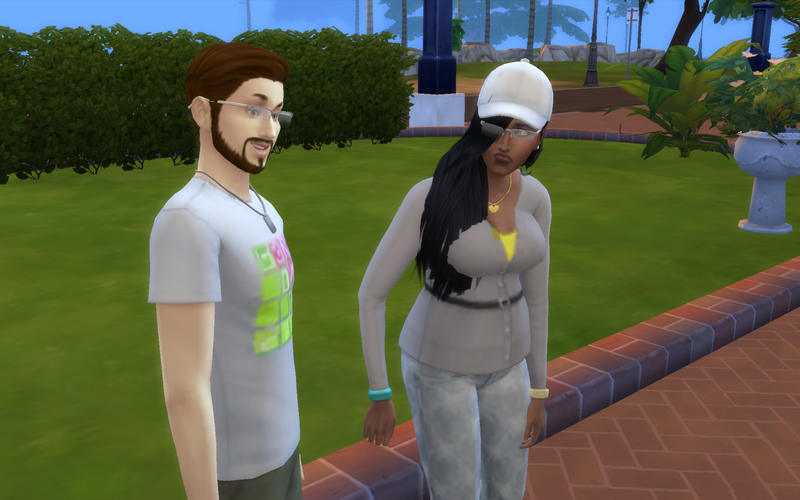 Almost immediately Elissa was regretting the decision to have Darrius move in. 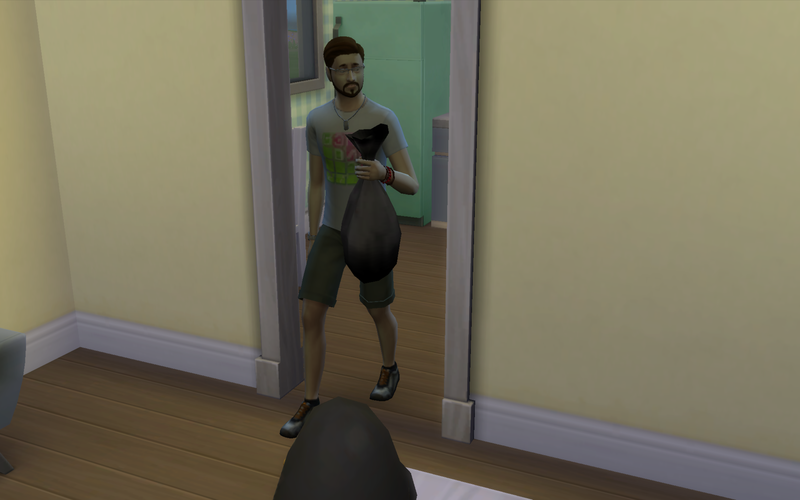 He had brought in a lot of simoleons to help with the cost of raising a baby, but Elissa didn’t feel right taking his money so easily. Instead, she asked that he put it away into a savings account. Darrius begin to make himself feel quite at home. 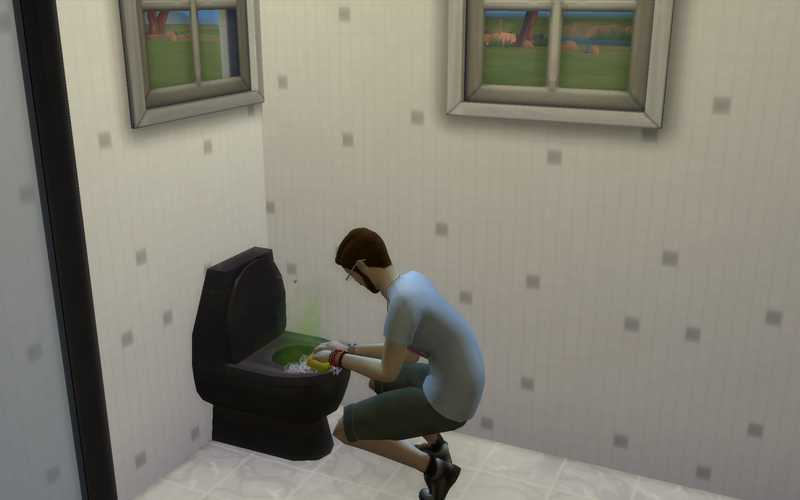 His tasks included cleaning up because he was tired of being squeamish every time he walked past the bathroom…. or got a whiff of the spoiled food from the fridge. There was only so much he could take. 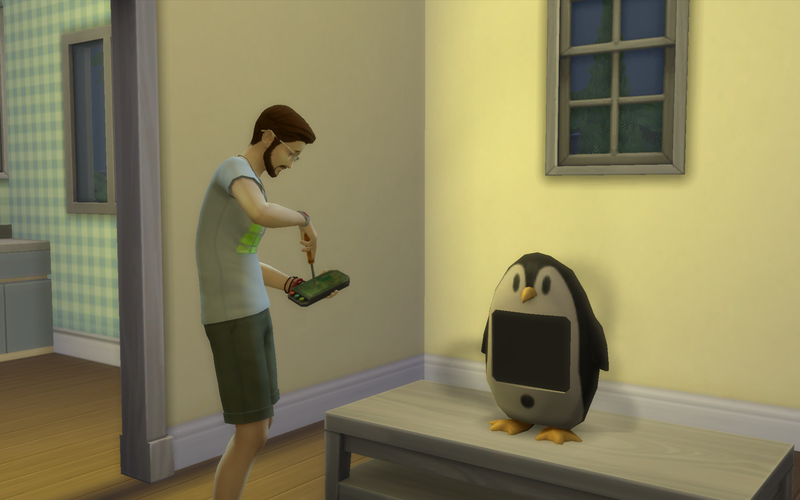 Although he made Elissa feel safe – now that a man as living with her – Elissa liked having Darrius around to help repair some of her broken items…especially the tv, as small as it may be. After a tense day at work, Elissa needed the comfort of the television to get her through the night and the next work shift. She especially liked cuddling with him at night to watch the newest episodes of the romantic thriller, “Rosebud Hallows.” She was falling more in li-love with him each and every day. Yay! I can’t wait to see the baby! Darrius is so helpful; I love it. He is helpful…especially since he doesn’t/can’t have a job. He figures he needs to help out as much as he can to help take some stress away from Elissa.